A child’s First Holy Communion is one of the most important events in their life. 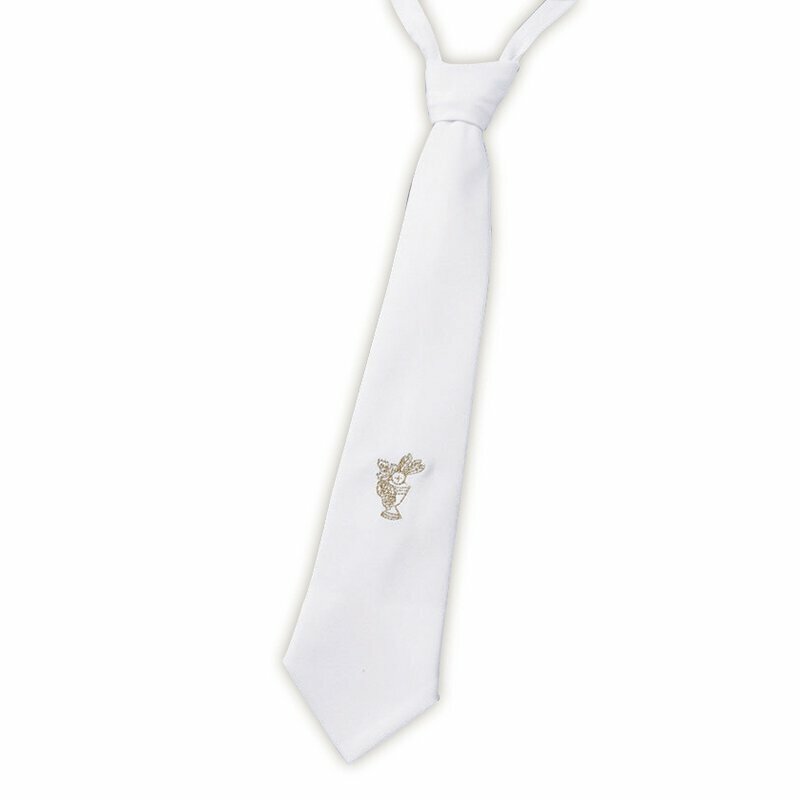 Help him make the day extra special with one of our handsome First Communion Embroidered Chalice Ties. He will look like the perfect little gentleman wearing one of these ties. Each is fully adjustable to fit most Communicants, has an embroidered chalice design and comes already knotted for ease of dressing. This simple, yet elegant tie design is sure to compliment any traditional Communion attire.